Preheat the oven to 350°. Lightly oil the squash skin and place cut side down in an oiled baking sheet. Place the juice in the sheet. Bake for 40 to 45 minutes until the squash is tender. Pierce with a fork to test. 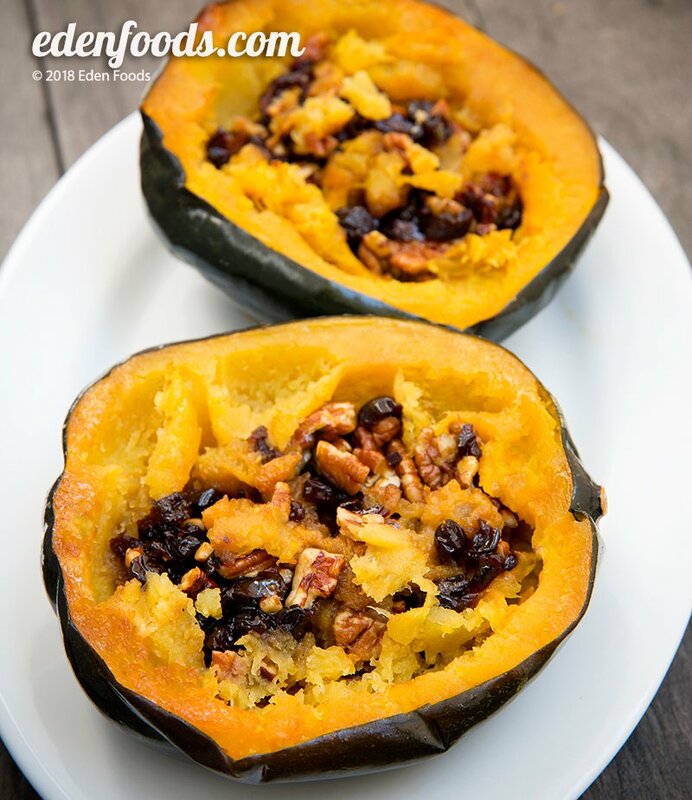 When the squash is just about done, heat up the remaining olive oil, barley malt, maple syrup, cherries, pecans, sea salt and cinnamon. Place one-quarter of the cherries/pecan mixture in each acorn half. Mix a little of the squash together with the cherries/pecan mixture, using a spoon or fork to mix. Bake right side up for another 5 minutes. Place in a serving dish.